Before we get into this post, I must say now that I was absolutely not going to go to the gym to test this makeup out, I like to stay away from the gym, the gym is not my friend. Buttttttttt, I do LOVE a new Essence Cosmetics release! In all seriousness, the new Essence You Better Work! makeup is not just gym-proof, it is also waterproof and then obviously sweat-proof, so this is going to be great for the upcoming warmer months. 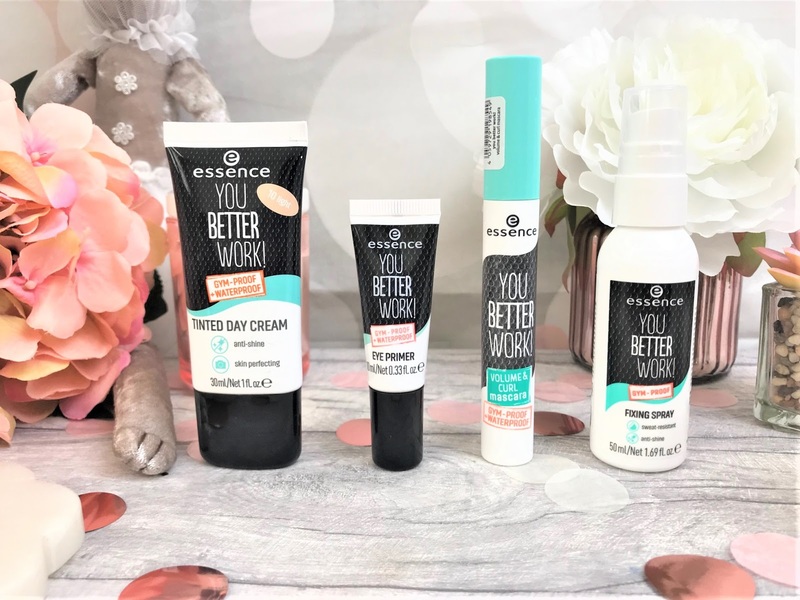 There are six products in the collection, and I have four of them so we will start off with the Essence You Better Work! 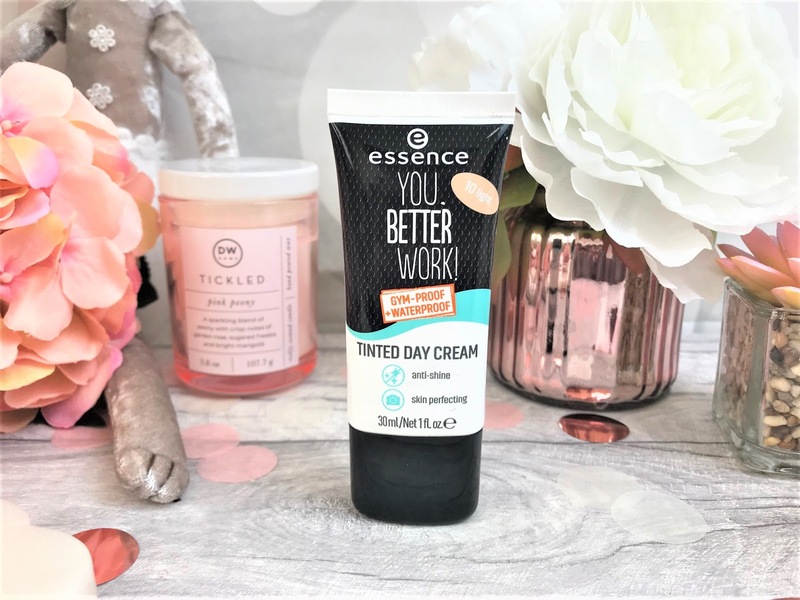 Tinted Day Cream (£3.80). The Tinted Day Cream is a light moisturiser that is, obviously tinted, and this one gives a matte effect and a natural 'no makeup look' to the skin. This is only available in two shades, 10 Light and 20 Medium, but with a tinted moisturiser you don't always need to match your skin tone as it will usually adjust to your skin. Even better, this Day Cream contains a UV filter to protect the skin from UV rays when you are out and about. Due to this being a tinted moisturiser, this gives a very sheer and light coverage, so don't expect a heavy, full finish, instead you can enjoy a natural, matte coverage to the skin. 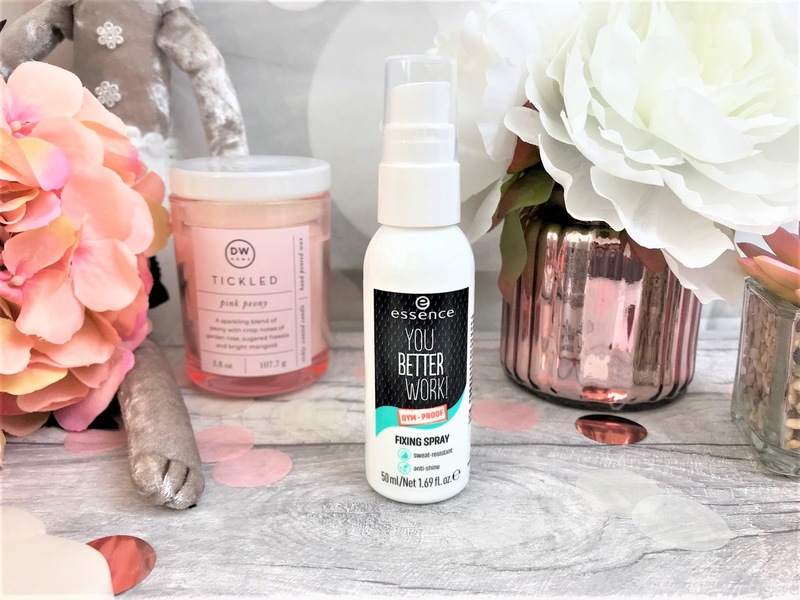 If you are wanting a fixing spray that instantly dries and keeps your makeup in place, then look no further than the Essence You Better Work! Fixing Spray (£3.00). The formula of this spray has been specially developed to set makeup in place throughout physical exercise, ensuring you look your best at all times. As soon as you spritz this onto the skin, it feels instantly refreshing and dries to a matte effect without any stickiness. This is actually one of my favourite products from the collection because I have quite an oily T-Zone and normally I struggle to get a setting spray which will keep that area shine-free, but this does the job perfectly. 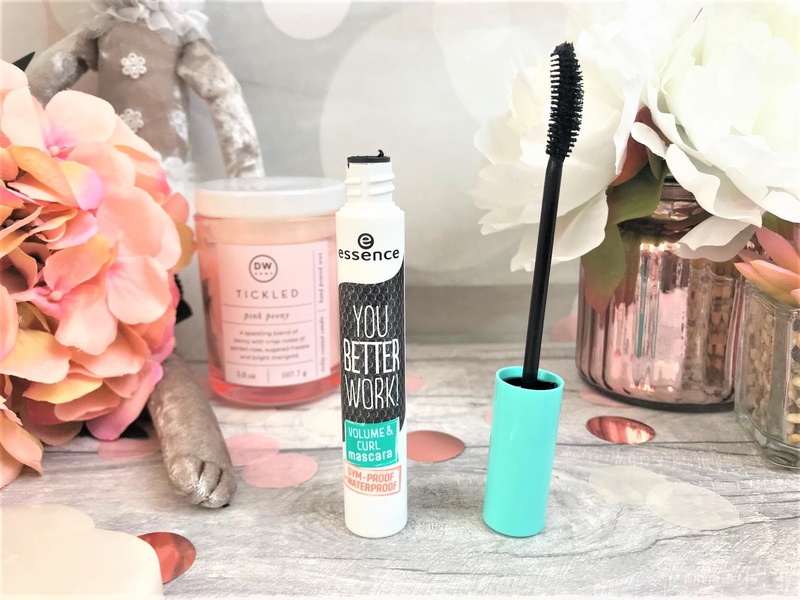 The Essence Princess Lash Mascara is my ride-or-die mascara, and I have so many tubes of it at home in case it ever runs out! I was as equally impressed with the Essence You Better Work! Volume & Curl Mascara (£3.00). This is a waterproof mascara which is said to withstand even the sweatiest of workouts (again, I am not putting it through that particular test), and it really does an amazing job of adding volume and lift to my barely-there lashes. There is also a lengthening version to try out too so I am definitely going to be trying that out the next time I come across a Wilko store. You really cannot go wrong with the brand as a whole, the prices are bloody fantastic and the products do as they say. Finally, I have the Essence You Better Work! 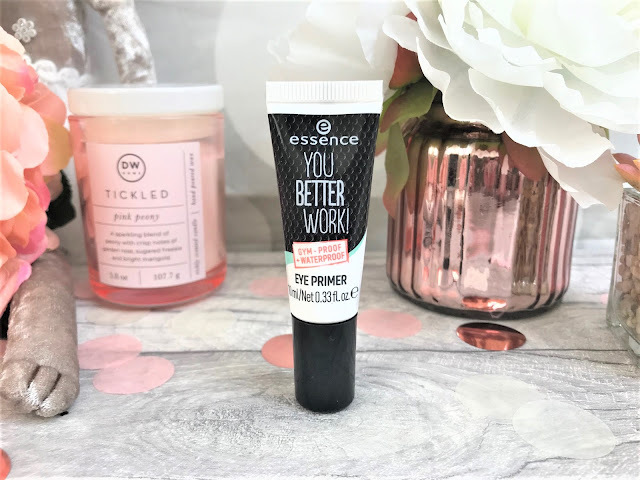 Eye Primer (£2.80), and I am not sure how many people wear eye shadow to the gym, although it is probably more than I imagine, but this is going to be great for Summer, when your lids are warm in the sunshine and your eye shadow starts to shift. It has a tiny little nozzle so you can either apply it onto the lid with a finger or with a brush and it will improve the durability of your eye shadow and prevent it from smudging throughout the day due to it being waterproof. It looks a little like concealer, and I found that it is great for covering the veins on my eyelids to give a nice even base for applying eye shadow. The other two products available in the collection include a Fixing Powder and a Camouflage Concealer Palette and you can find these products and more in-store and online at Wilko.